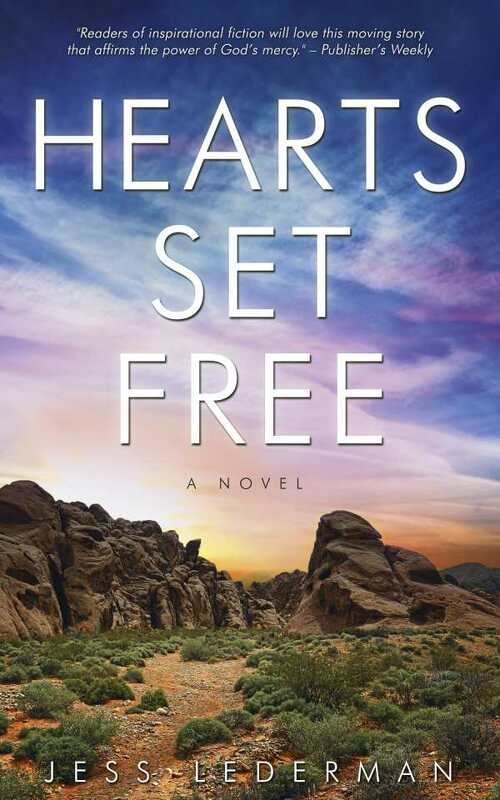 With its focus on the presence of God in human lives, Hearts Set Free is a powerful and inspiring novel. Jess Lederman’s uplifting and compelling Christian novel Hearts Set Free is about hearts that come to Jesus in unexpected ways. In the 1920s in Alaskan territory, Yura learns that her husband is not coming back. She packs her and her son’s belongings and heads for Manhattan on a quest fueled by her desire for revenge. She and her son cross paths with David, a boxer turned pastor. Through his words, their transformation begins. Yura and David settle in Las Vegas, then a small town ruled by coldhearted gangs. It serves as the optimal background for testing their faith. Descriptions of the terrain paint it as unforgiving under the scorching sun. It is a place with few opportunities for work, and where those in power prove willing to kill any converts that stand in the way of their goals. Even through hostile moments, Yura, David, and those around them gain a deeper understanding of the grace of God. Paralleled to Yura’s story is Joan and Tim’s, set in Las Vegas in 2011. They follow the research theories of a Catholic priest who was also a scientist. The two storylines converge to demonstrate transformation through faith, though shifts between them do not move chronologically and can be confusing. As characters, Yura is drawn as distant; David is friendly. Other characters are loving and flawed, including Joan. Tim, Joan’s brother, is an addict, but he does not hesitate to help others in times of trouble. These likable characters give the book its flavor—that of a community bound together by a strong cord of loyalty and deep love. The tone is religious, enhancing the text’s impactfulness as it focuses on pointing toward the grace of God. The characters meet God through ordinary and sometimes painful circumstances in which their intentions clash with God’s unrelenting love and after which they experience slow but lifelong transformations. The book is held together by these powerful connections, with each character moving from despair (camouflaged by external optimism) toward faith. God is portrayed as unfazed by human imperfections. Gripping scenes, including some where the characters’ lives are at risk, make the story feel even more genuine. Christianity is not glamorized. The story does not evade real, hard questions such as about the rationale of suffering in the presence of a loving God. Reflecting upon the presence of a God who seeks a personal relationship with human beings, Hearts Set Free is a powerful and inspiring novel.